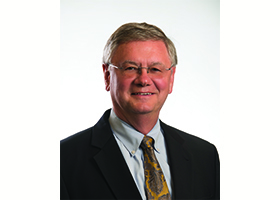 The Tennessee Center for Performance Excellence (TNCPE) is proud to announce that Charles E. (Chuck) Shoopman, Jr., Assistant Vice President at the University of Tennessee’s Institute for Public Service, is a recipient of the 2019 Ned R. McWherter Leadership Award. The Ned R. McWherter Leadership Award annually recognizes an individual who exemplifies outstanding leadership in the pursuit of performance excellence and has worked to further performance improvement beyond the boundaries of his or her organization. Shoopman’s ability to think strategically, focus on the customer, and effectively engage others in performance excellence has enabled him to further performance excellence well beyond his own organization. “Chuck has worked diligently over the years to advance the mission of TNCPE and his energy and passion for quality and performance excellence are evident to those that have interacted with him. Not only is Chuck a leader for performance excellence in Tennessee, he is a trusted advisor and practices what he preaches by applying quality principles and a customer focus in his day-to-day work,” says Tamera Fields Parsons, TNCPE president and CEO. Shoopman has served as a multi-year TNCPE examiner, and has recently concluded service as a member of the TNCPE Board of Directors. McWherter Leadership Award winners can come from any industry sector. They are committed to the core values of TNCPE and the Baldrige Excellence Framework, the nationally recognized framework that helps organizations align resources; improve communication, productivity, and effectiveness; and achieve strategic goals. The McWherter Award is named after the 46th governor of Tennessee, who was instrumental in TNCPE’s founding in 1993. Ned McWherter’s support for the program acknowledged the value of the Baldrige Excellence Framework as an integral tool that can help Tennessee businesses and organizations thrive. A listing of previous honorees can be found at the TNCPE website www.tncpe.org. Shoopman will accept the award at the 2019 Excellence in Tennessee Awards Celebration & Banquet on Thursday, February 28, at the Franklin Marriott Cool Springs in Franklin. Established in 1993 as a public-private partnership, the Tennessee Center for Performance Excellence strives to promote economic development and drive organizational excellence by helping companies and organizations grow more competitive in today’s global marketplace through affordable, in-depth assessments. A statewide nonprofit, TNCPE is grounded in the Baldrige Excellence Framework—a holistic framework used by organizations across multiple industries to improve their performance and achieve sustainable results. More than 1,500 organizations have participated in and benefited from the TNCPE program. Five Tennessee businesses—Caterpillar Financial Services Corporation, Pal’s Sudden Service, Eastman Chemical Company, Federal Express and Bristol Tennessee Essential Services—have been honored with both the prestigious Baldrige National Quality Award and the TNCPE Excellence Award. For more information, visit www.tncpe.org.